On 15 June 2018 ten ECLC students from Germany and Denmark, together with exchange students from other countries, learned how to make Zongzi under the guidance of professional cooks. Zongzi are a traditional dish that is traditionally served during the Dragon Boat Festival. 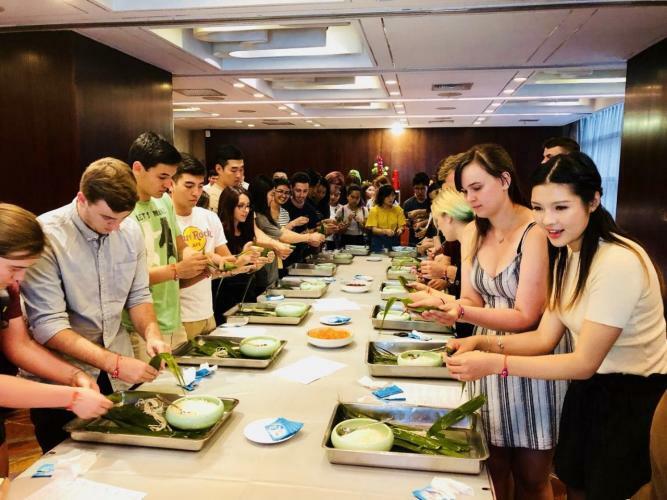 Our students did also participate in a Zongzi making competition and Alex Jakobsen from Aarhus University won the first price, as the auditor was most impressed with the Zongzi he made. You may read a more detailled report on this activity on our blog.